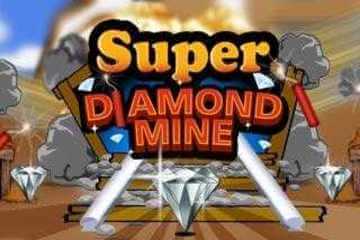 As far as video slots go, the Super Diamond game could be seen as old-fashioned in the way it plays. In that respect, it is unlike modern games like Wizard of Oz slots, but compares well to Vegas classics like Lobstermania and Texas Tea. Other than diamonds, other winning symbols include picks, bars and boulders ad well as dynamite. You can win on any one of 9 pay-lines. If you liked this free diamond slot machine, you might also like the following games. Although very simple in nature, this game is hugely appealing and will be especially fun to those that enjoy the older style video slots. The video poker and table games listed above are new to the site. We added these after getting several requests from visitors asking for a more 'complete' casino experience. We hope you enjoy them as well as our range of slot machines to play online for free.